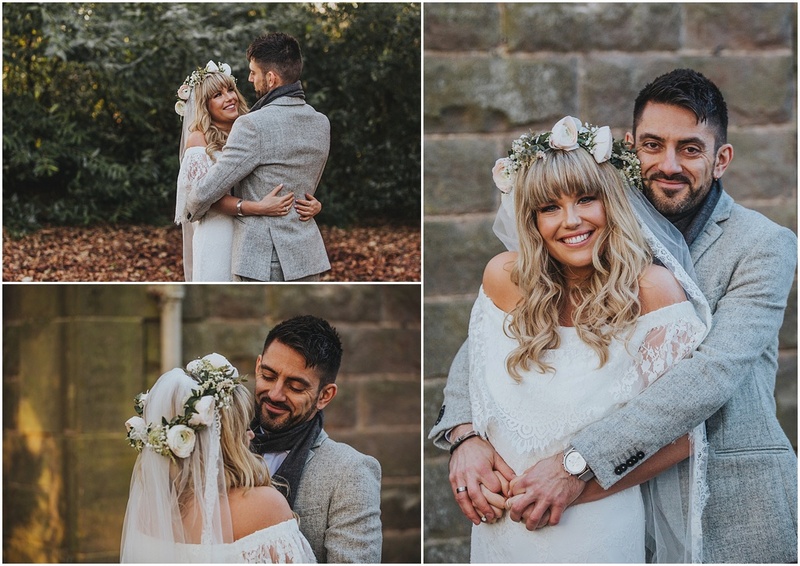 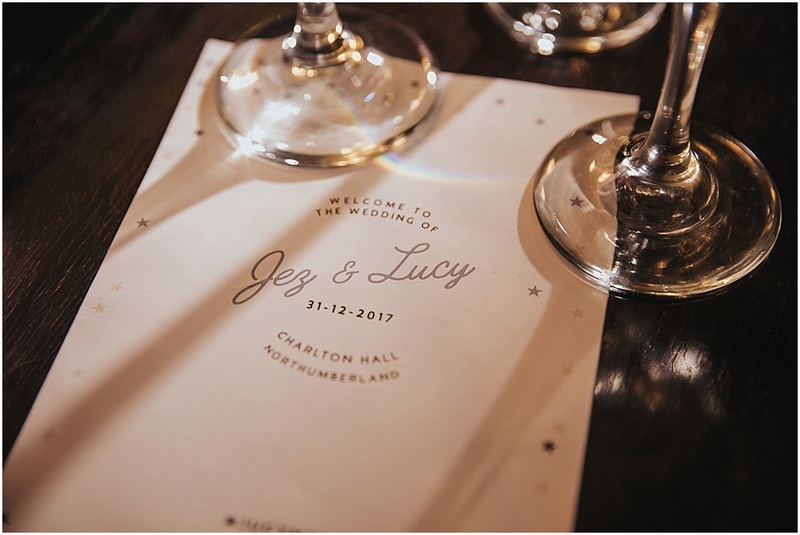 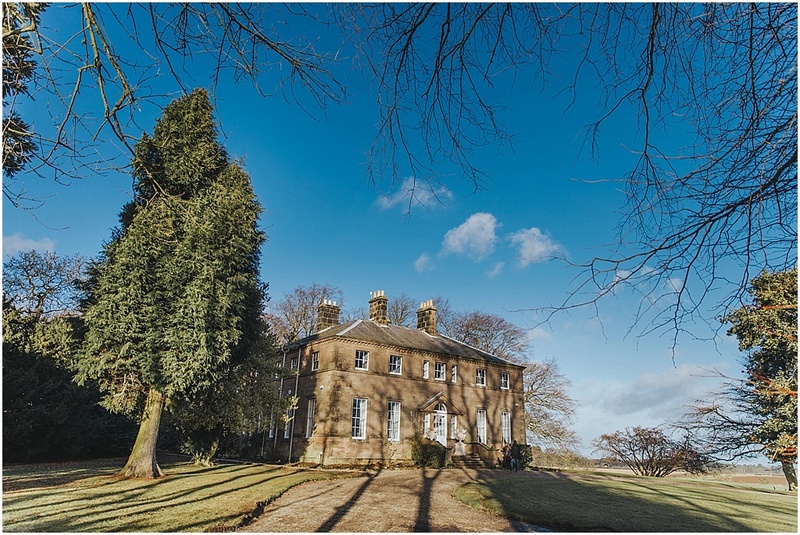 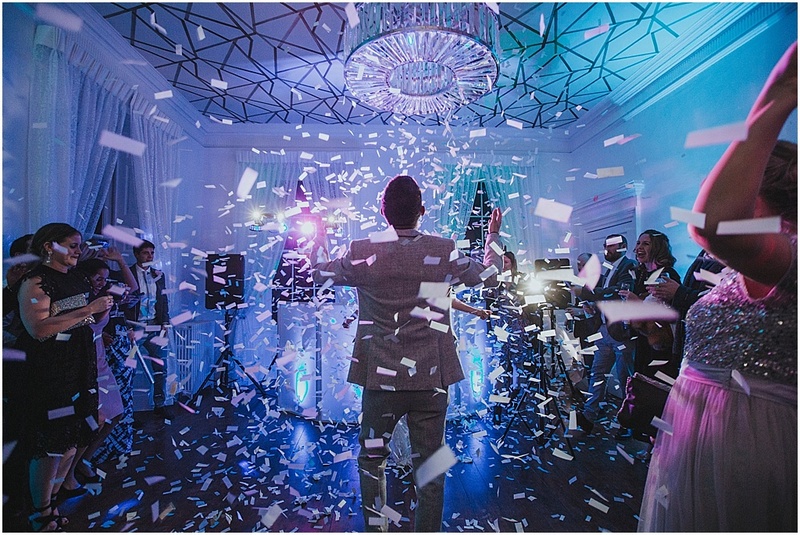 Jez and Lucy were lucky to exclusively hire Charlton Hall wedding venue in Northumberland for their New Years Eve wedding before the official opening date this coming April. 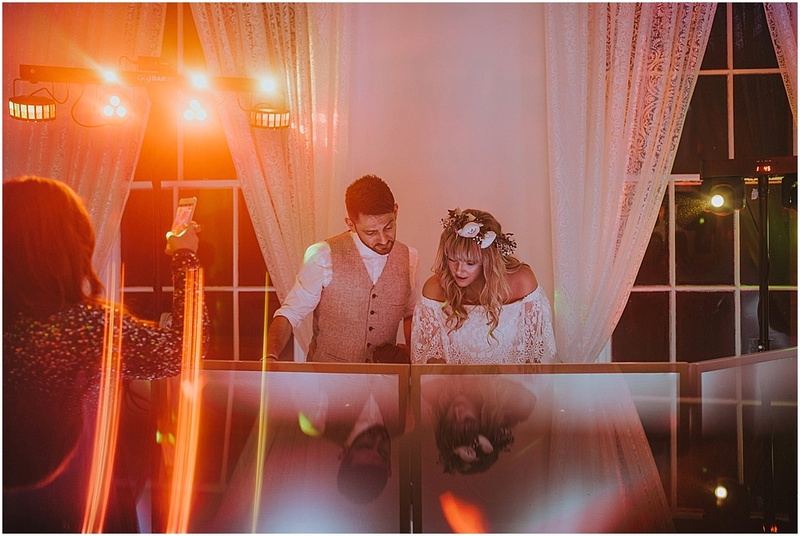 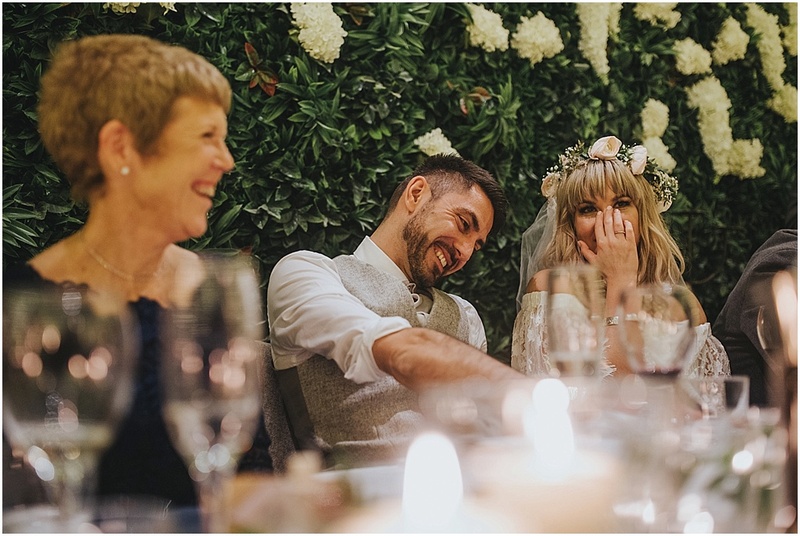 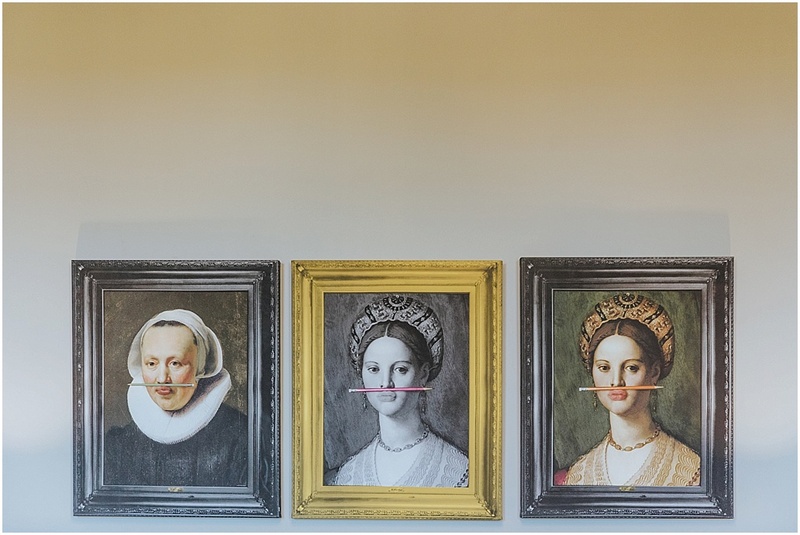 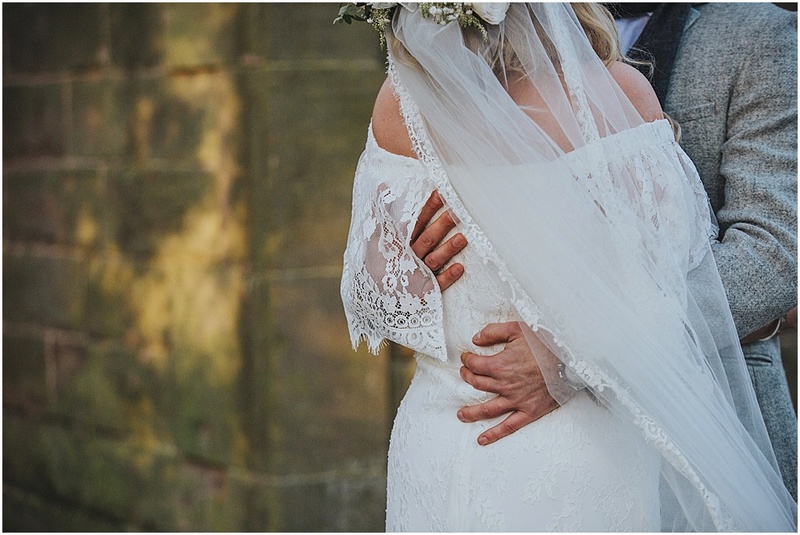 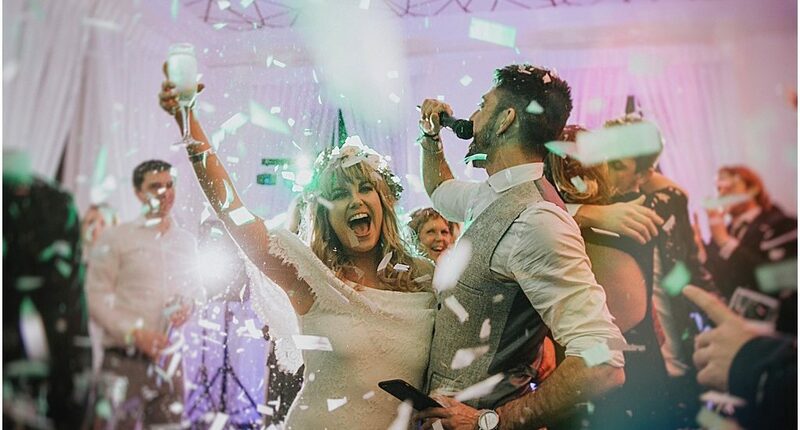 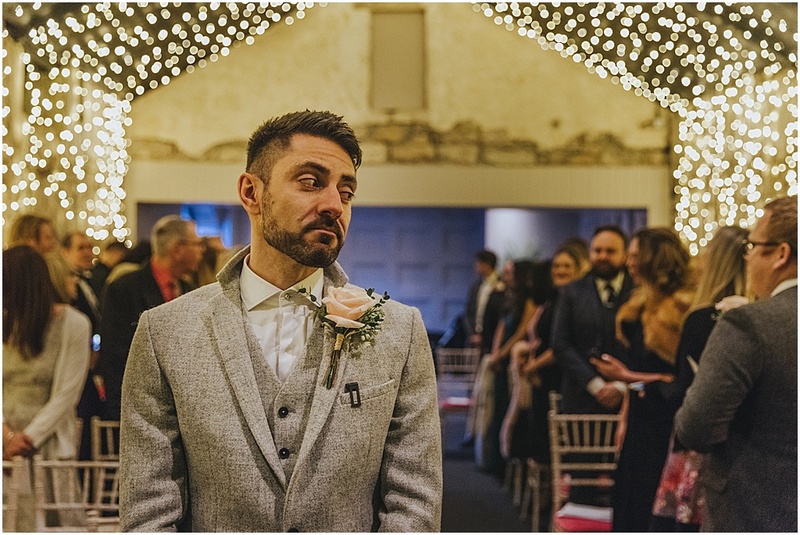 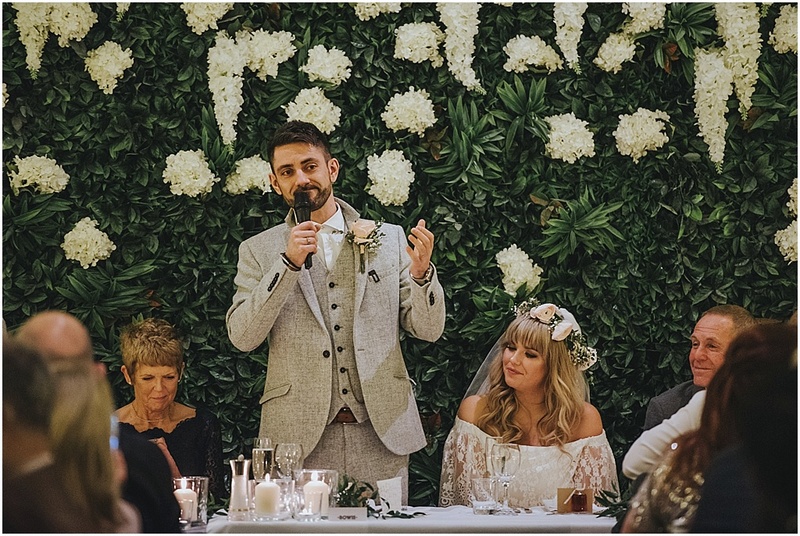 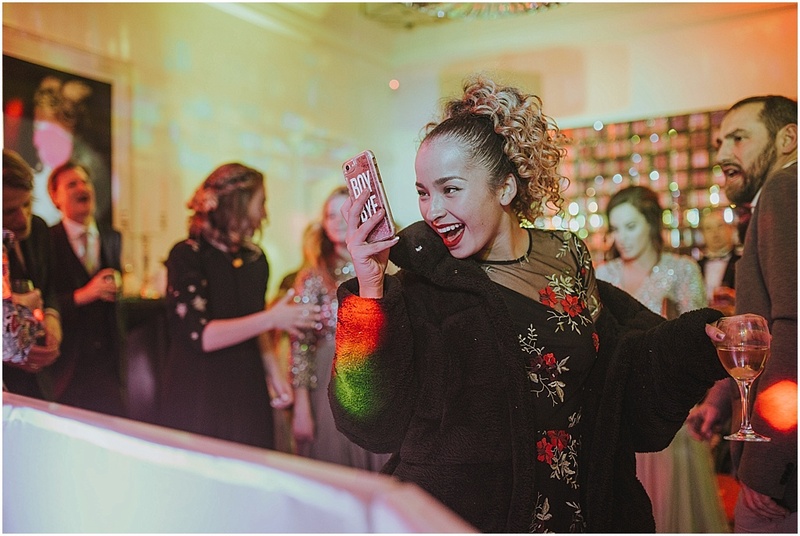 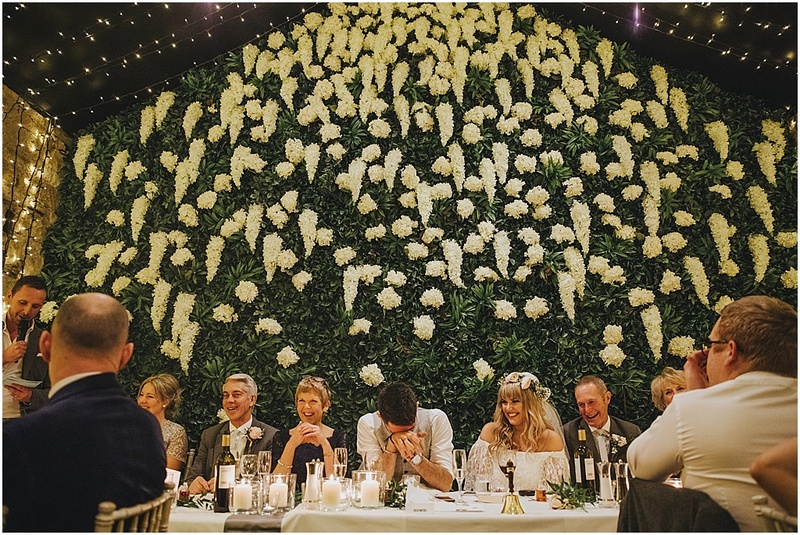 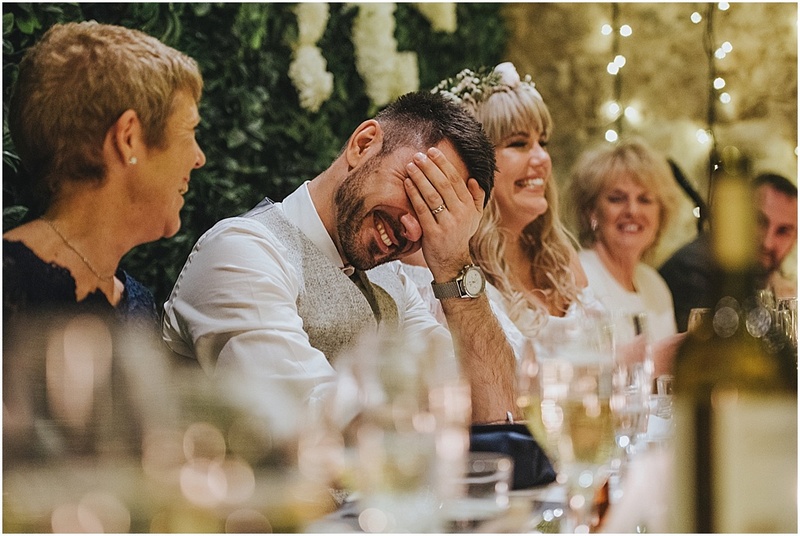 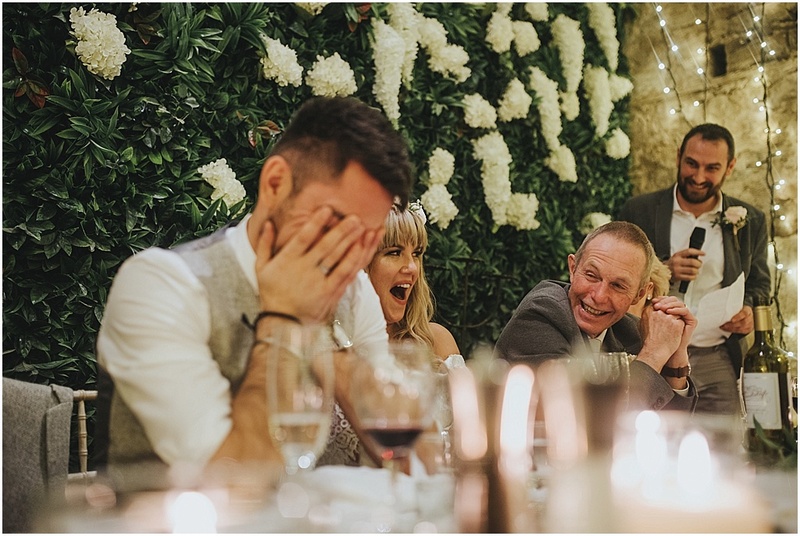 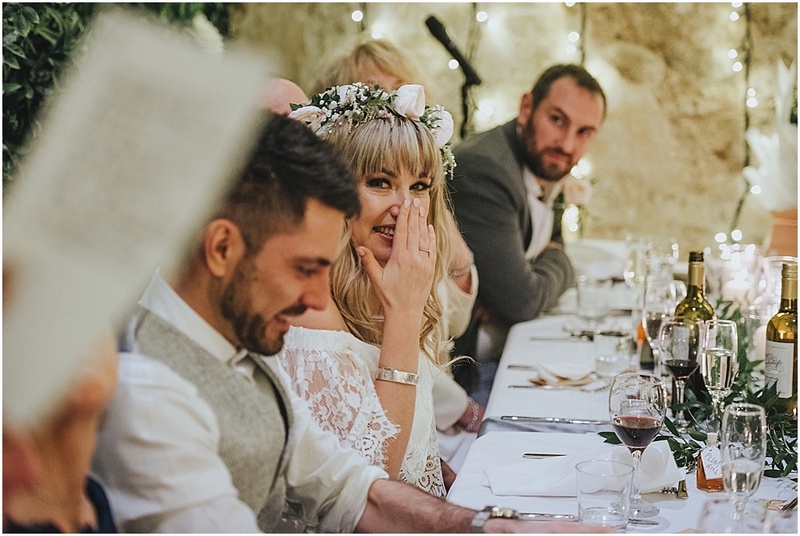 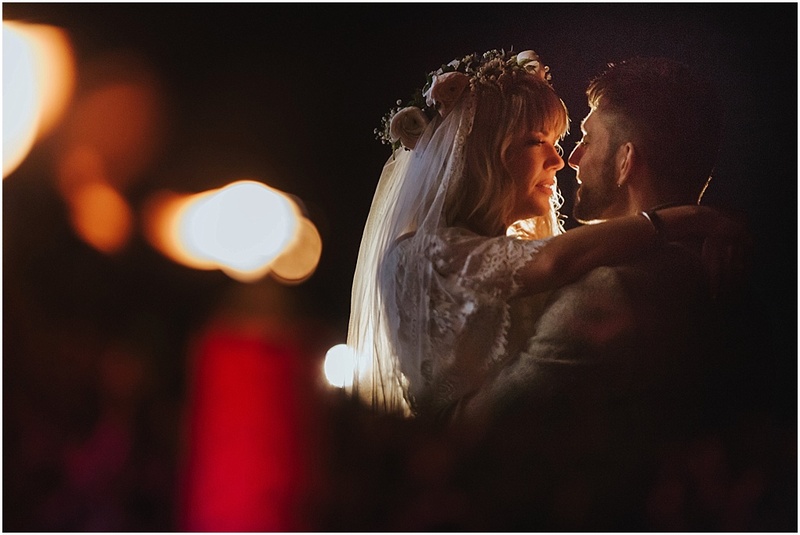 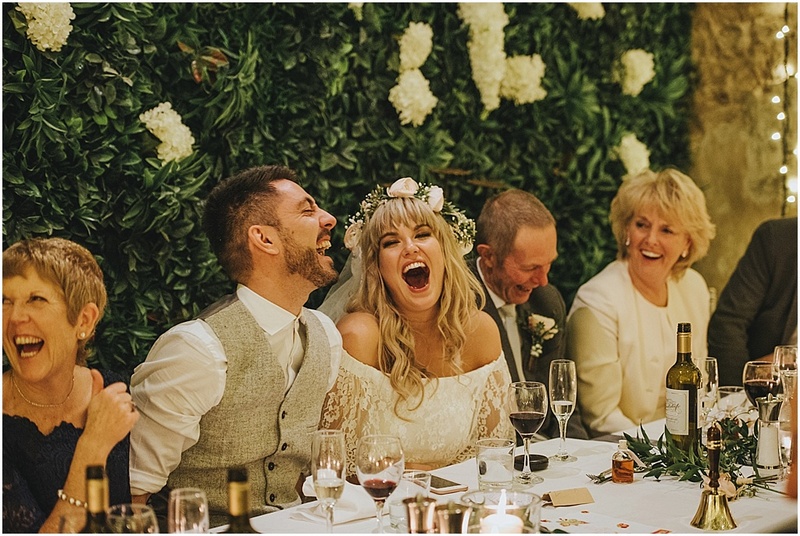 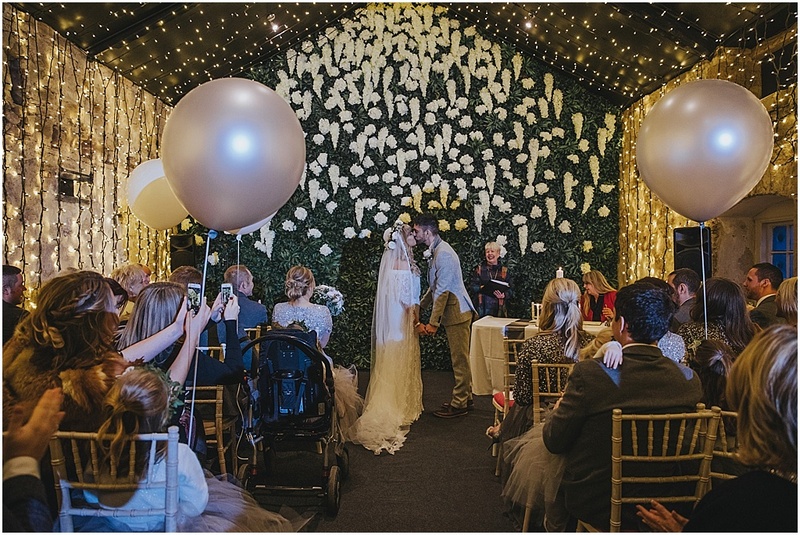 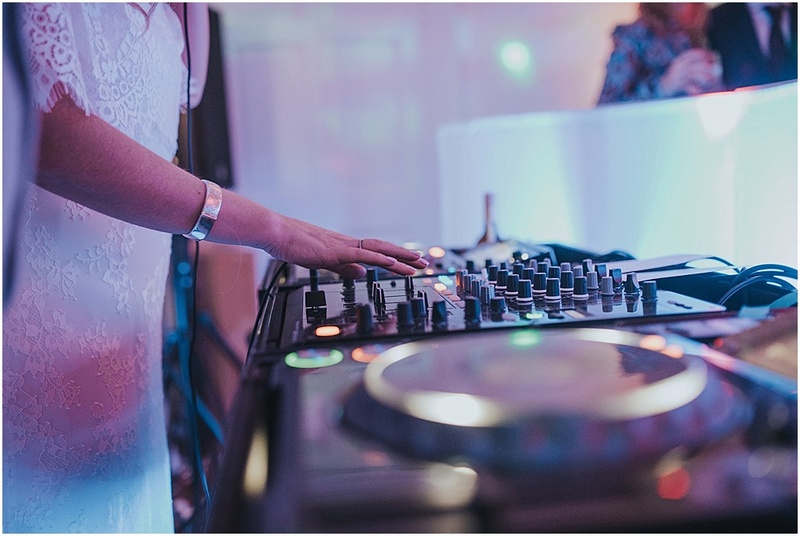 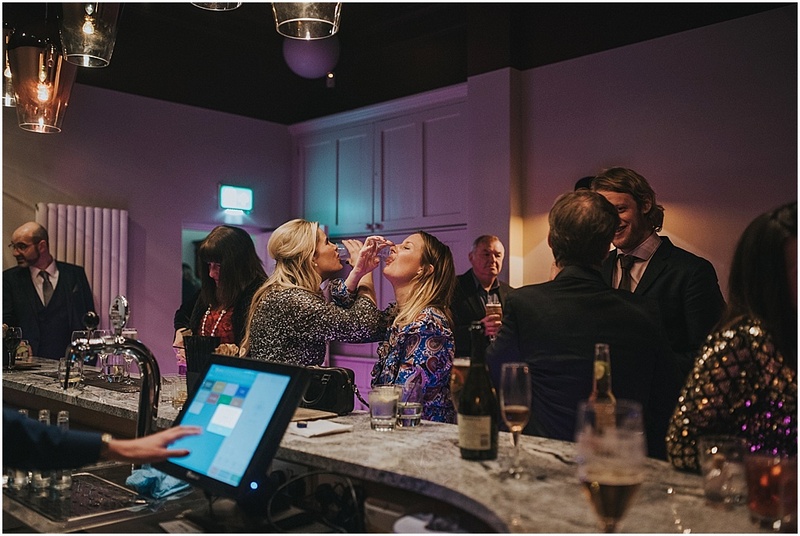 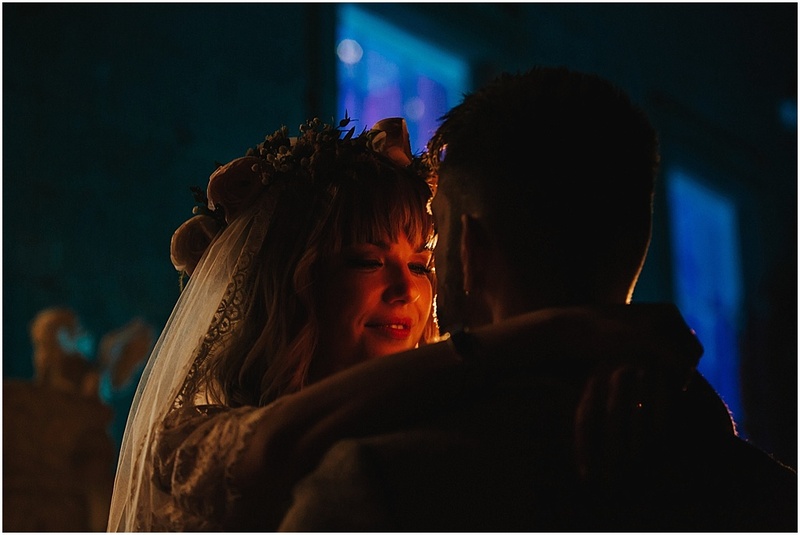 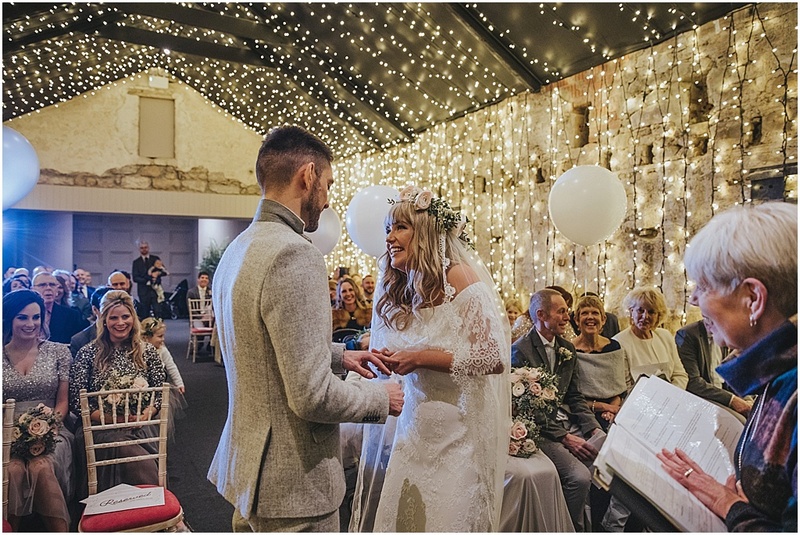 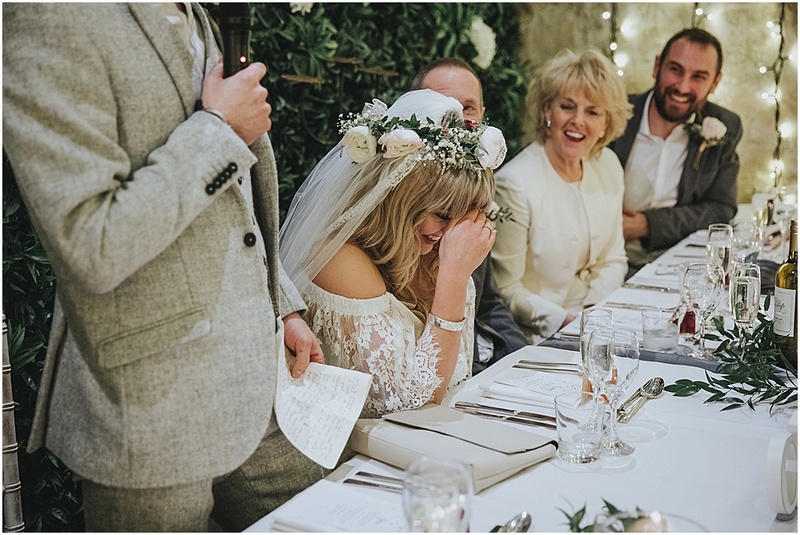 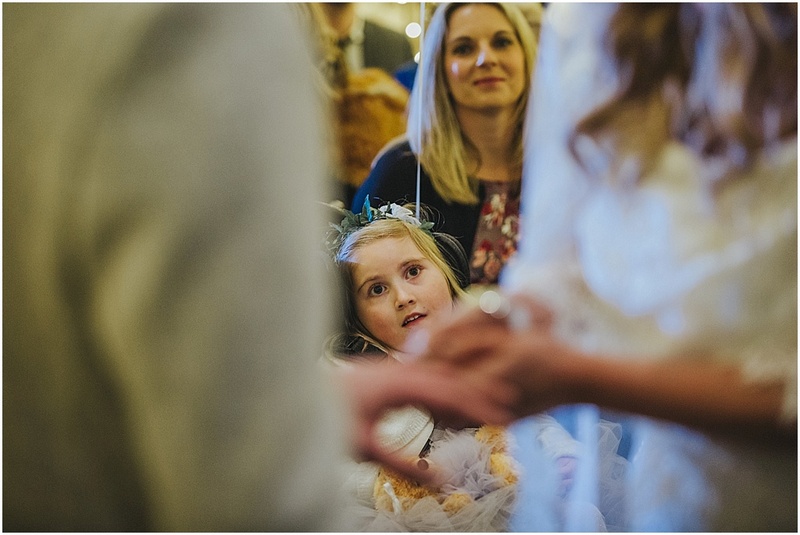 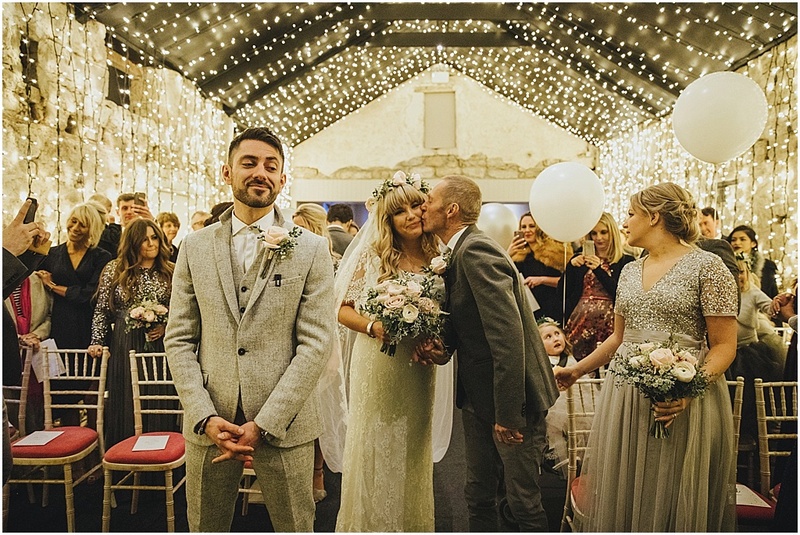 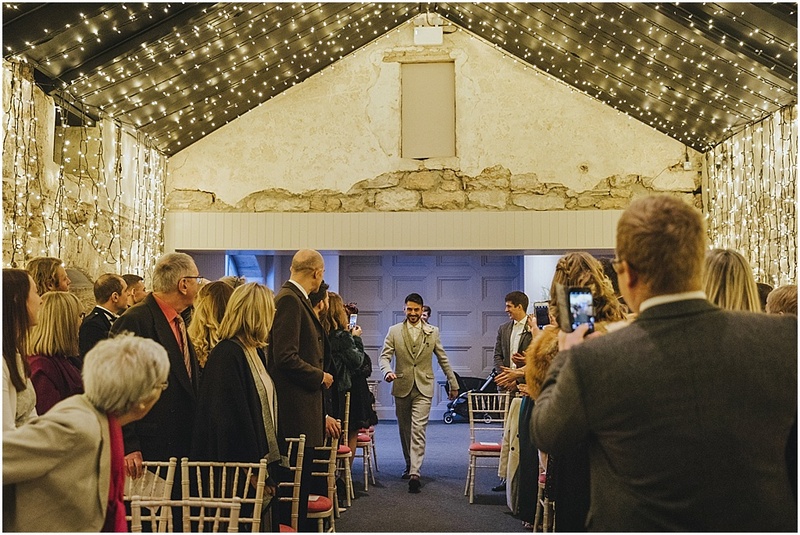 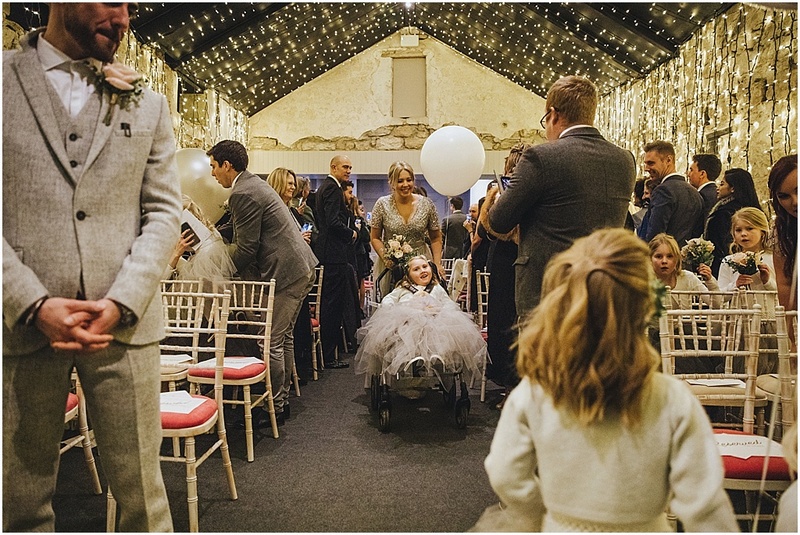 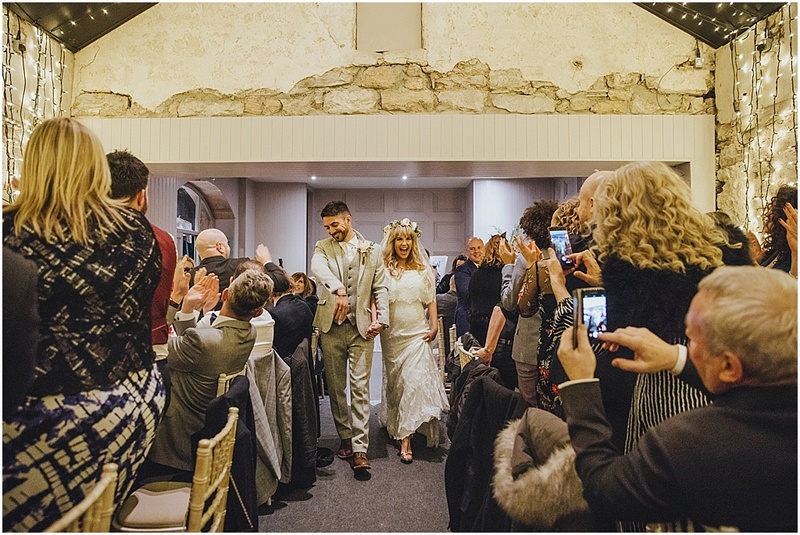 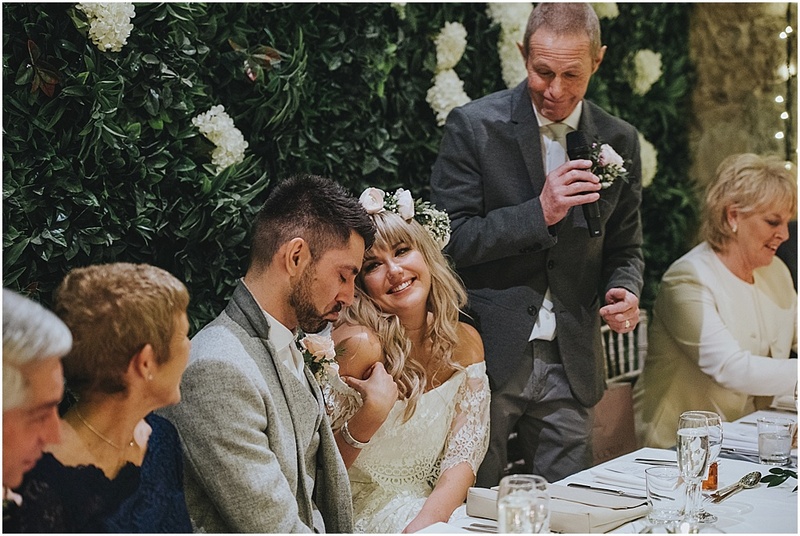 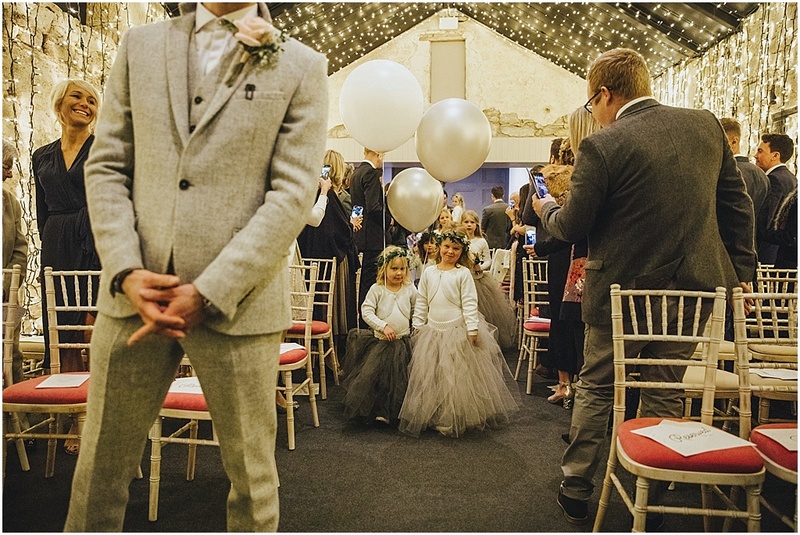 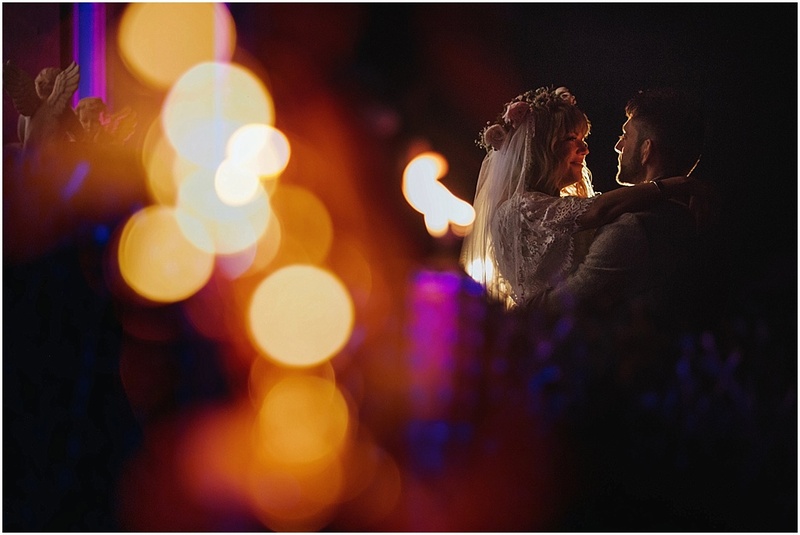 As the older sister of the award winning bohemian wedding venue Doxford Barns , it has its very own vibe with a perfect blend of traditional and bold design, with fantastic attention to detail. 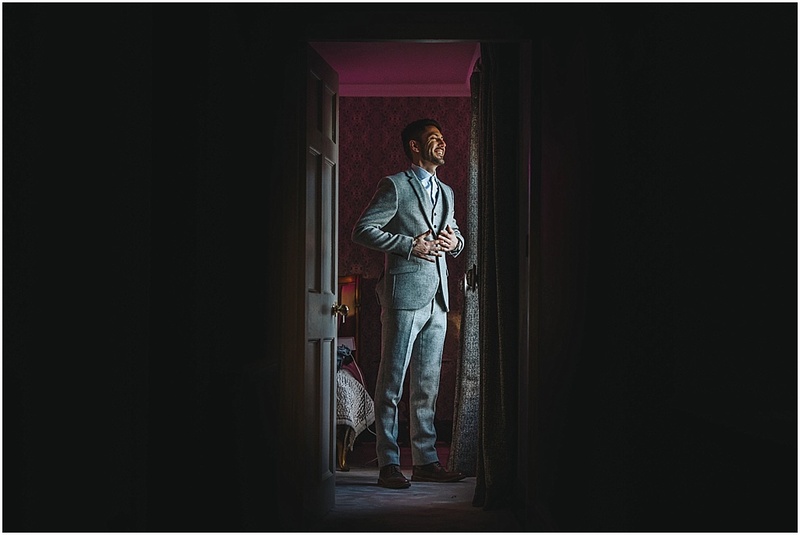 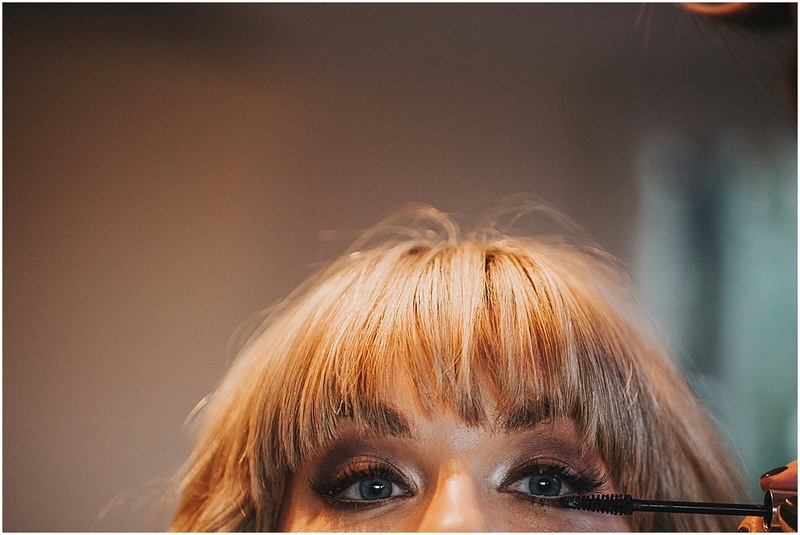 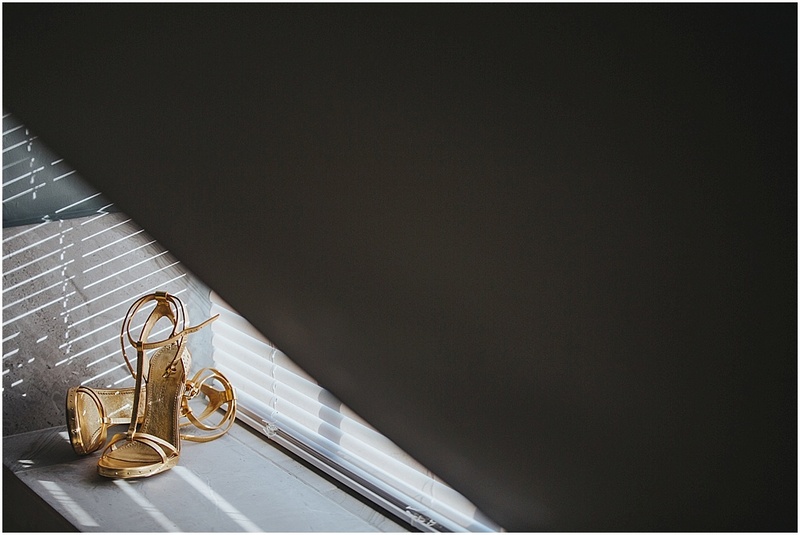 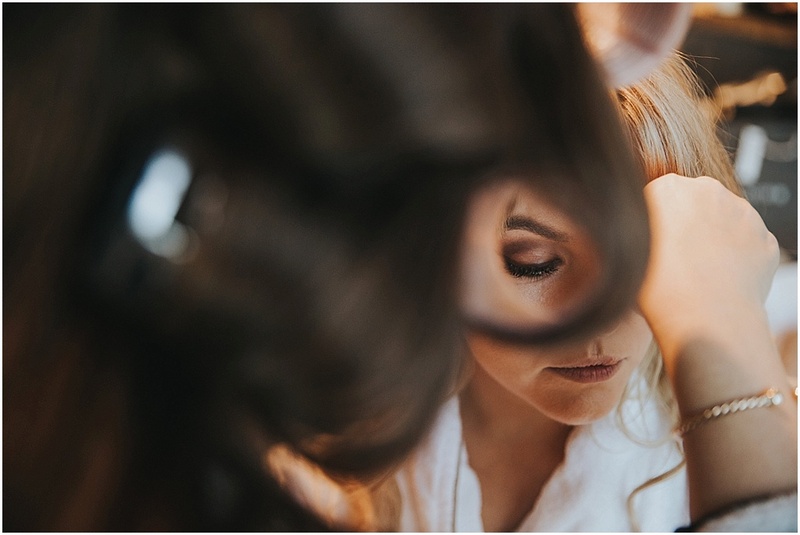 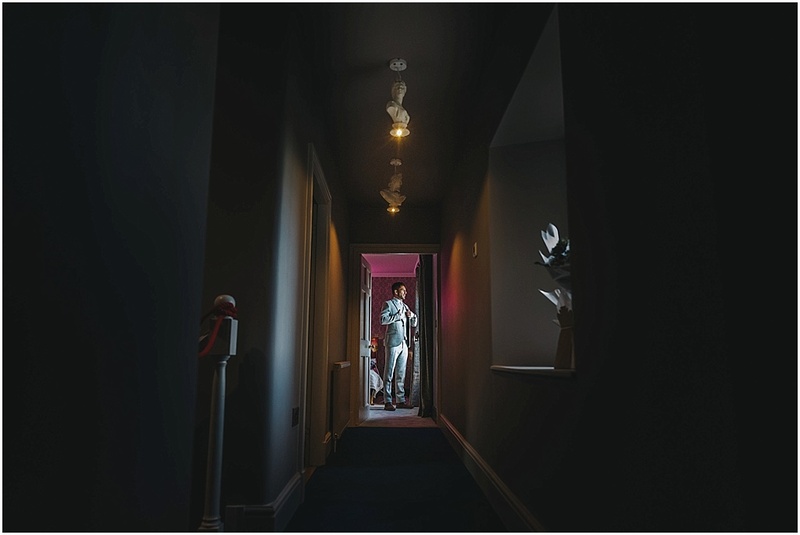 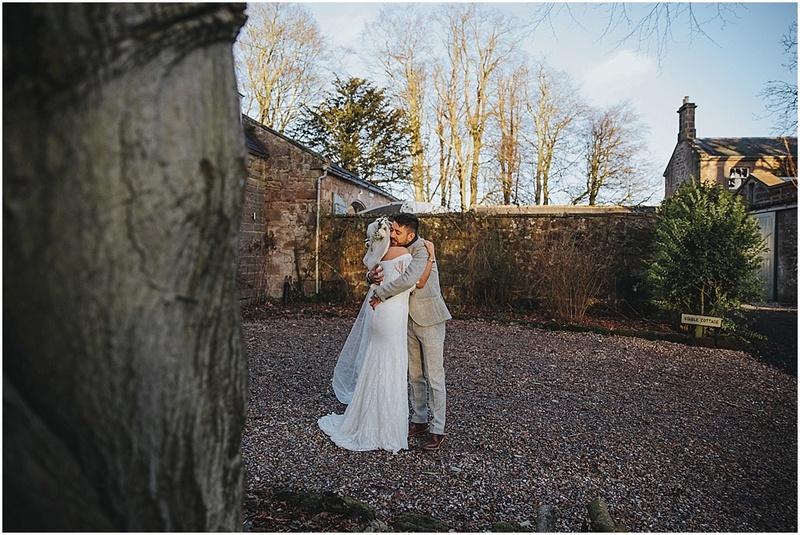 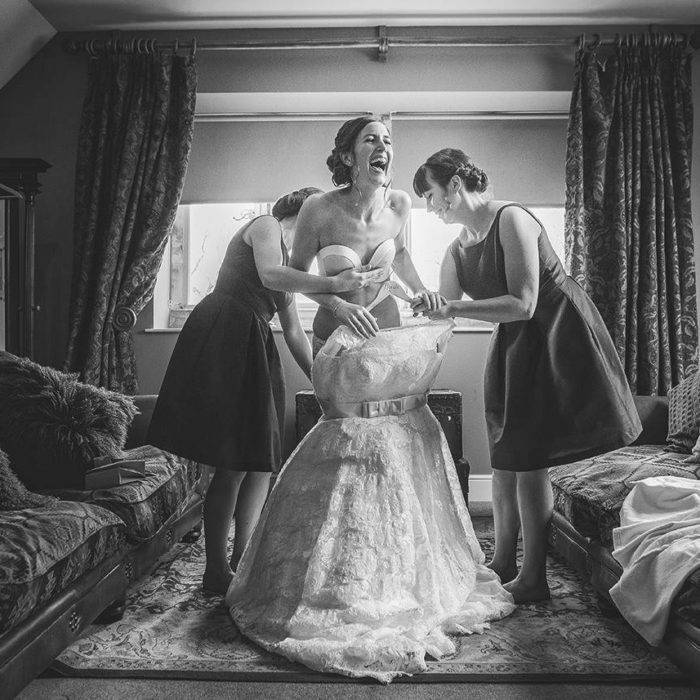 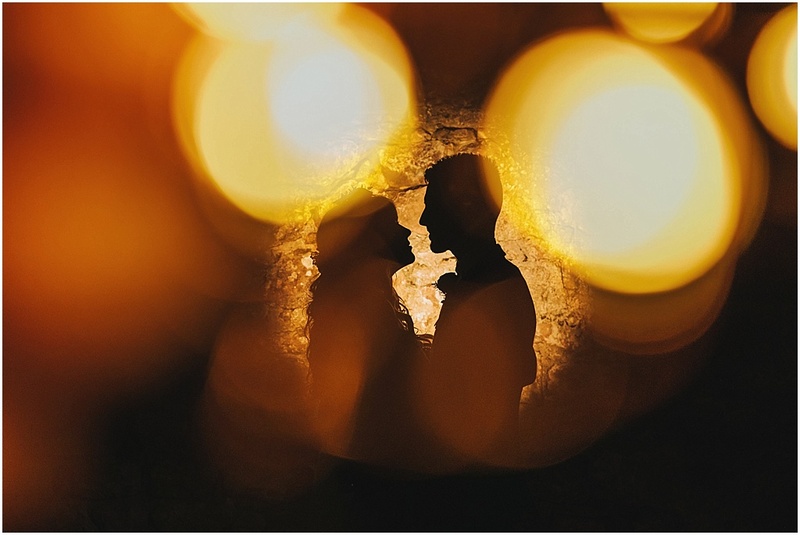 A 3.30pm wedding ceremony on the last day of December meant we were always chasing the light so Jez and Lucy decided to do a very quick ‘first look’ before the ceremony to catch a few moments together and to catch the last of daylight. 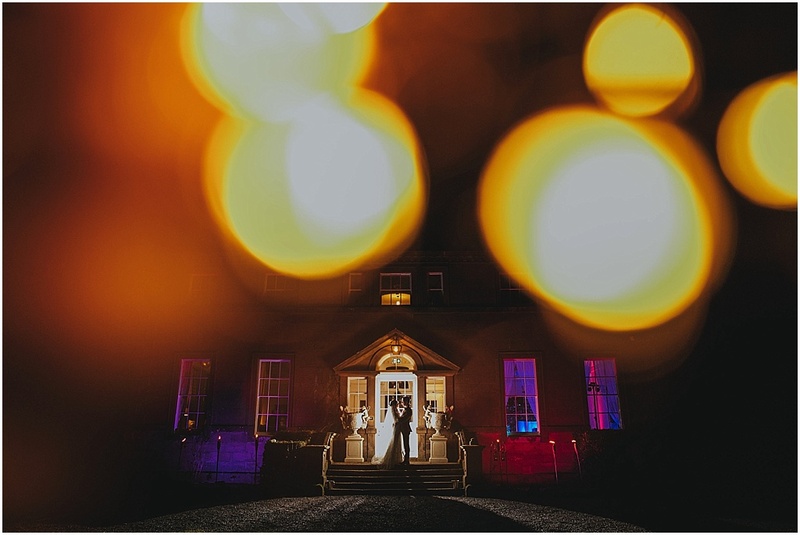 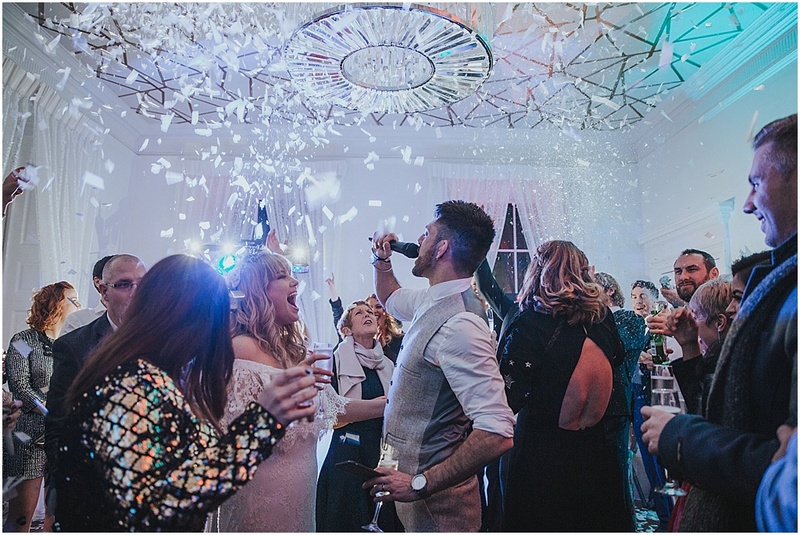 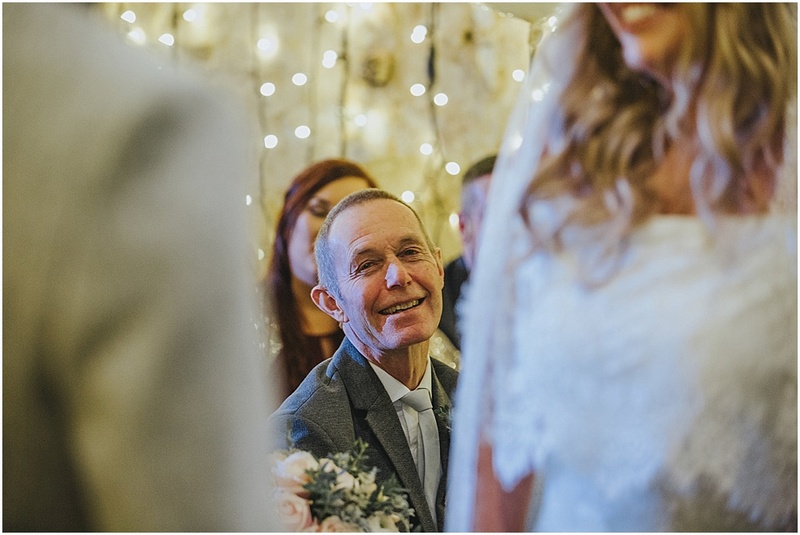 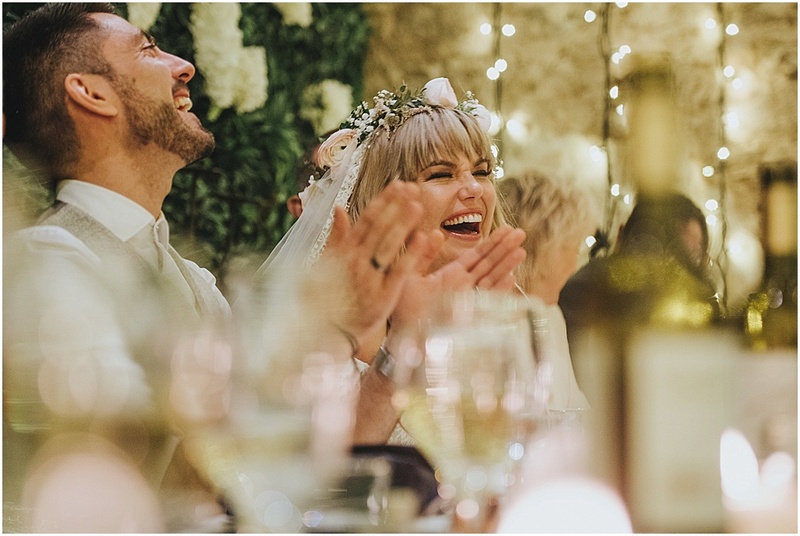 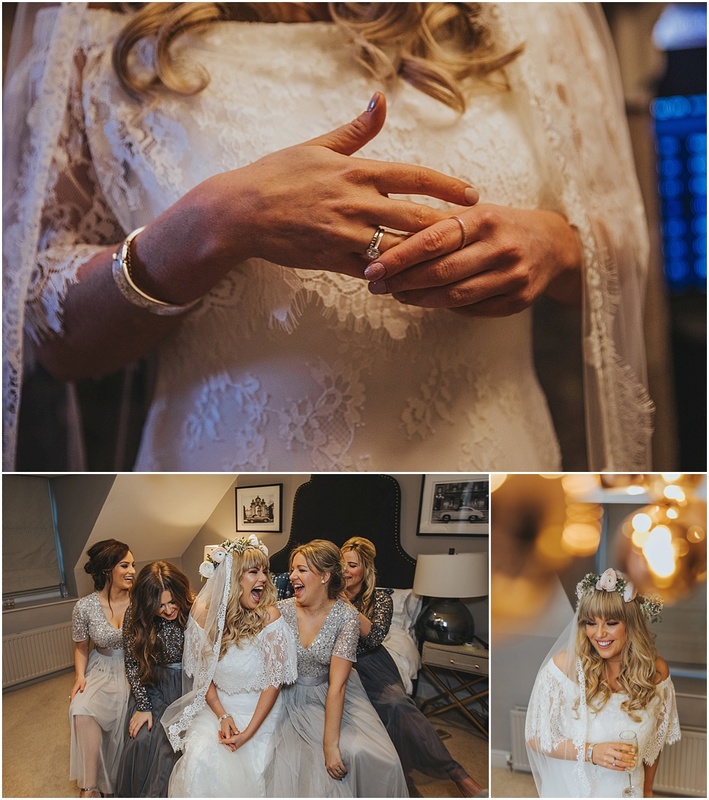 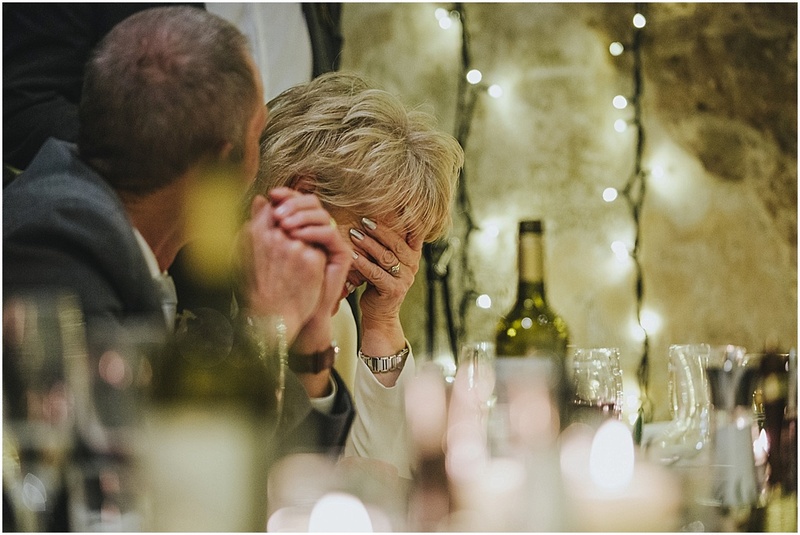 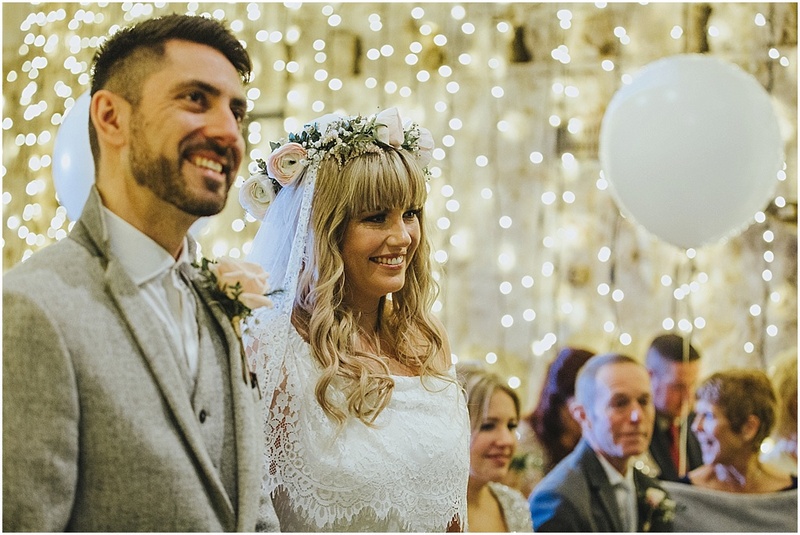 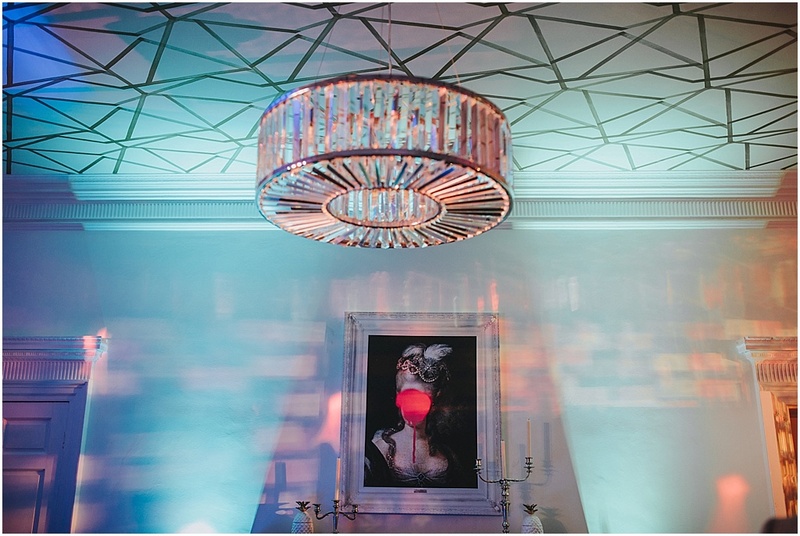 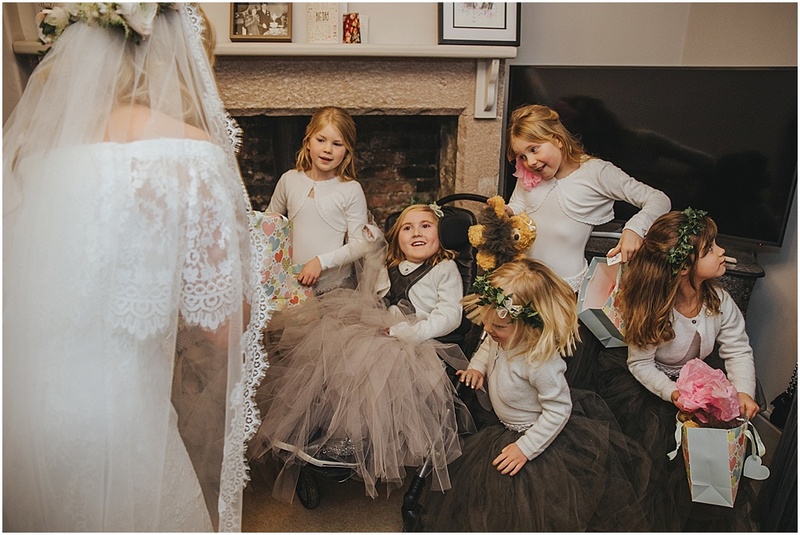 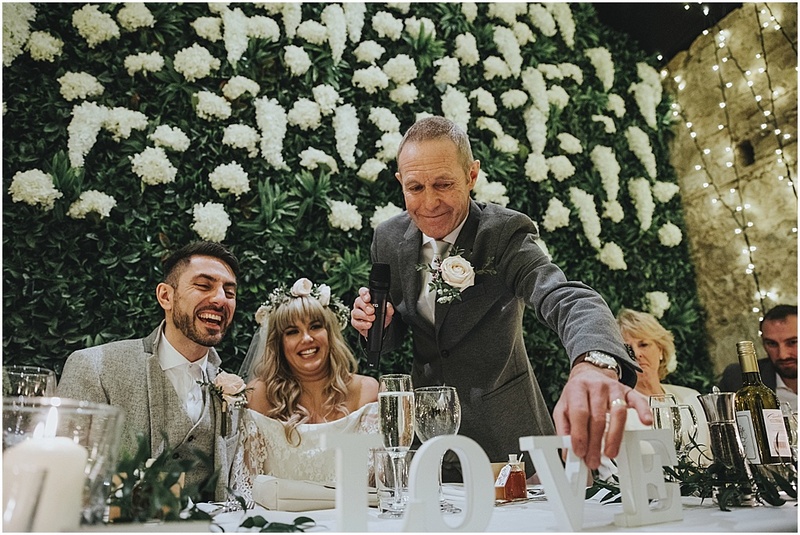 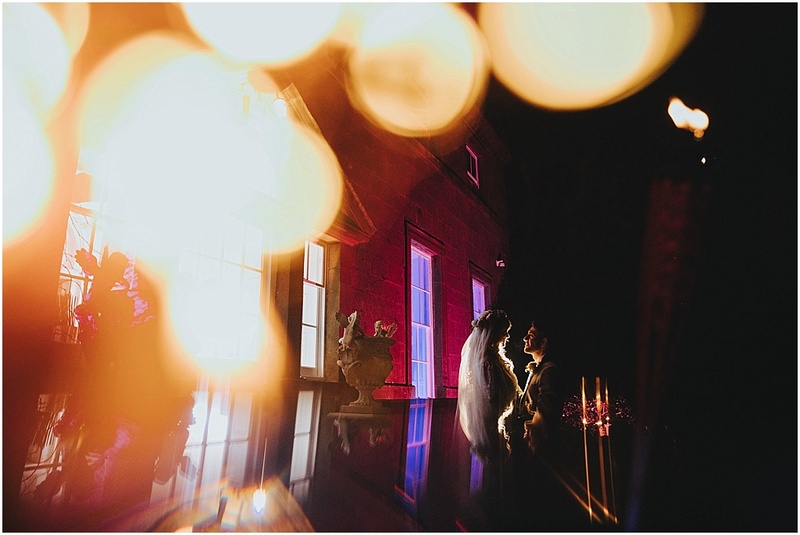 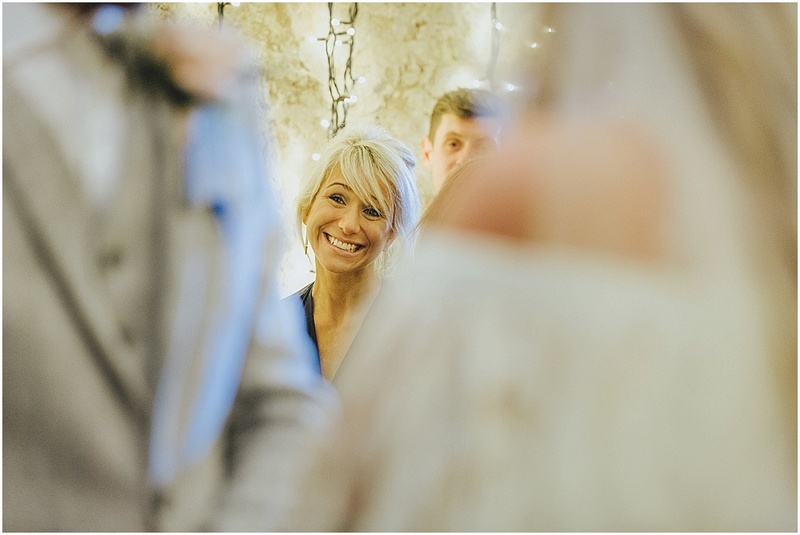 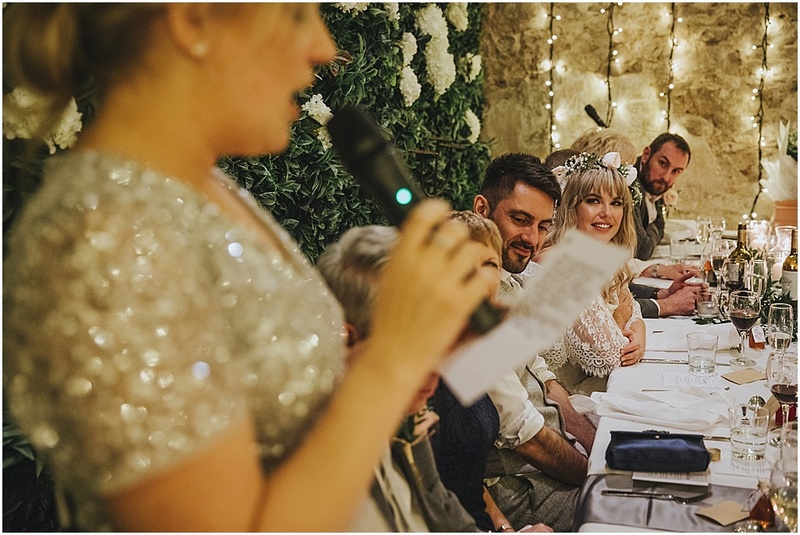 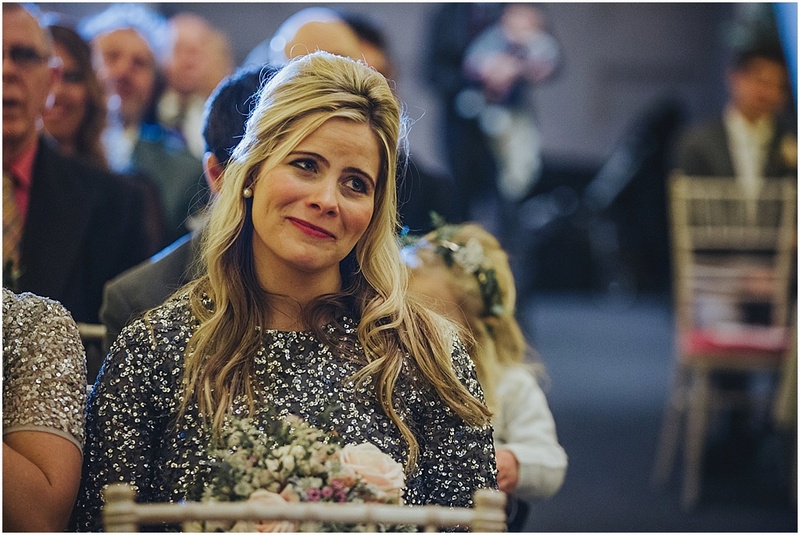 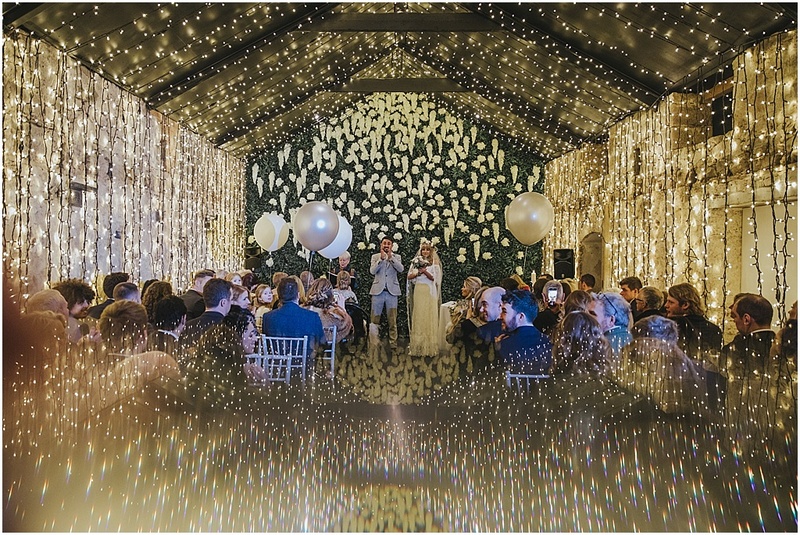 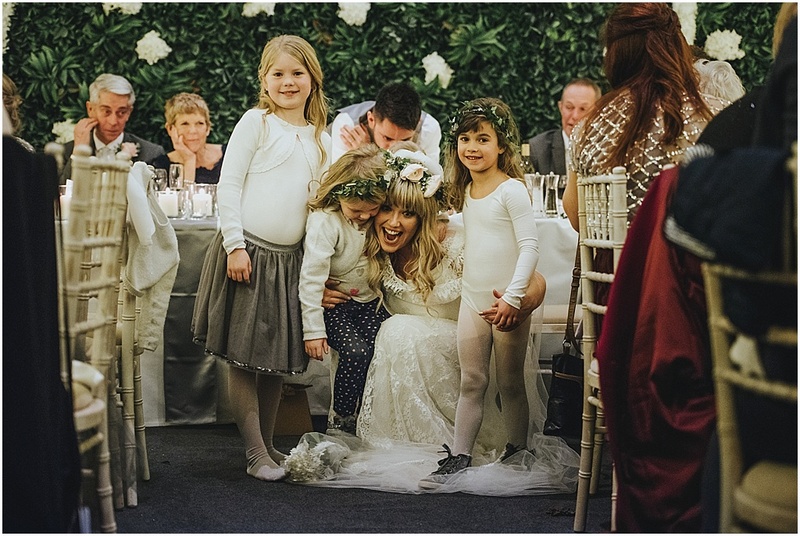 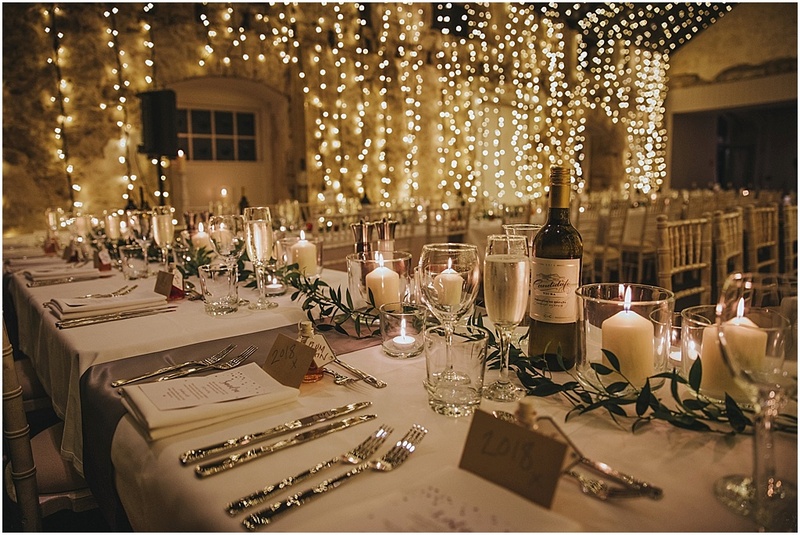 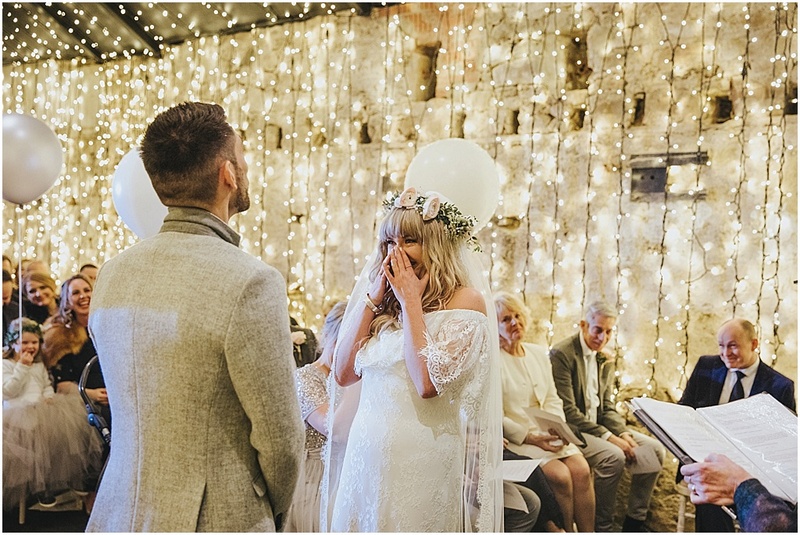 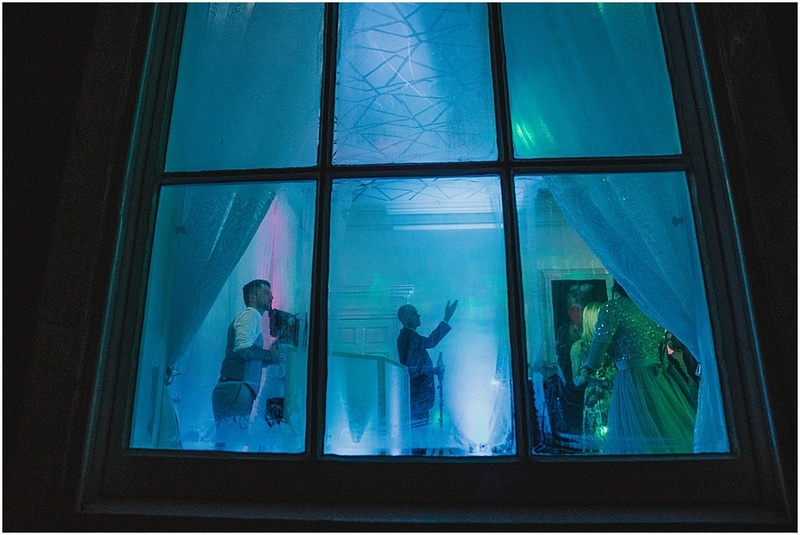 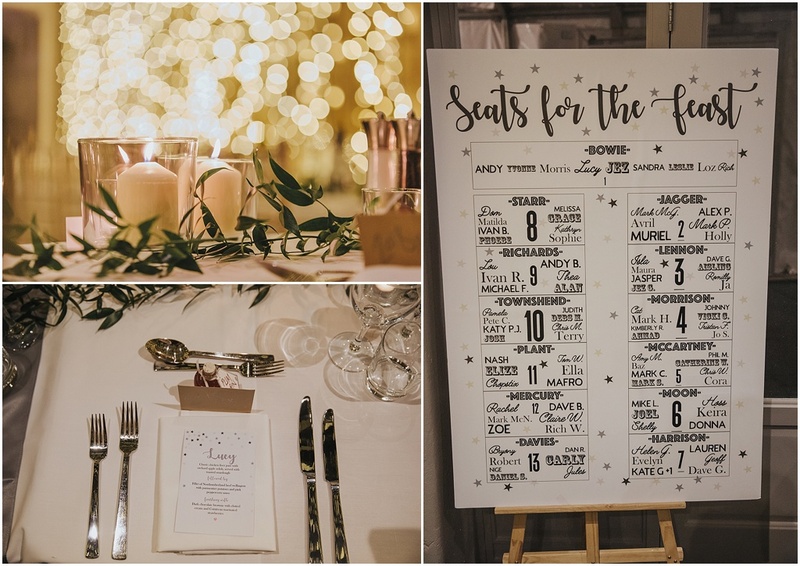 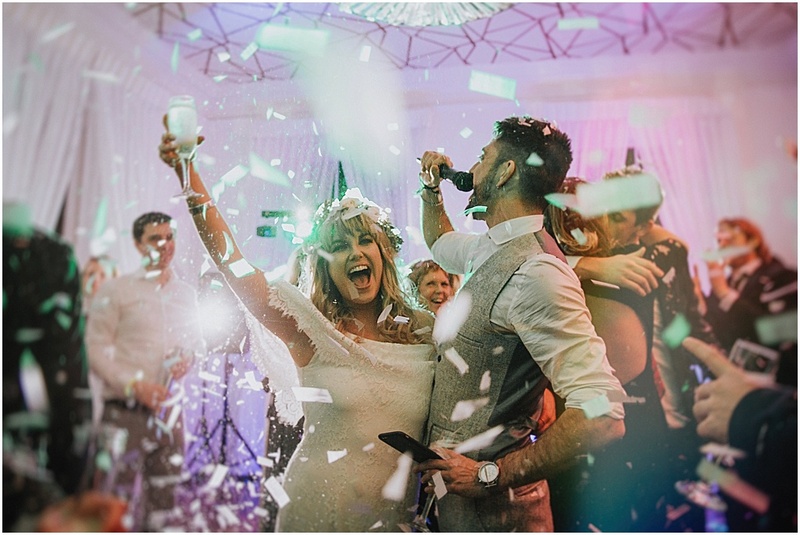 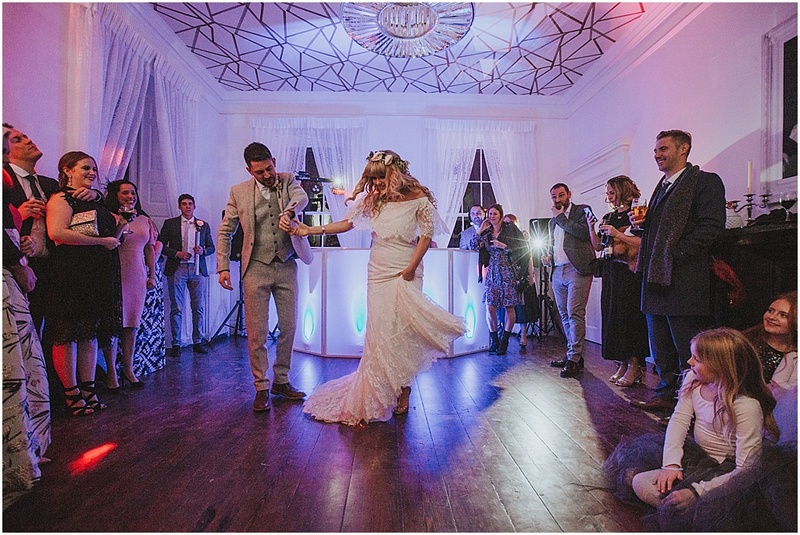 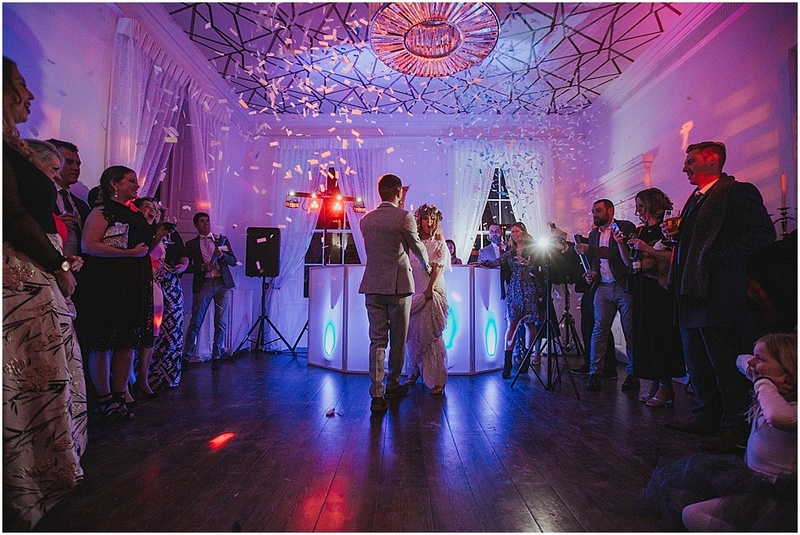 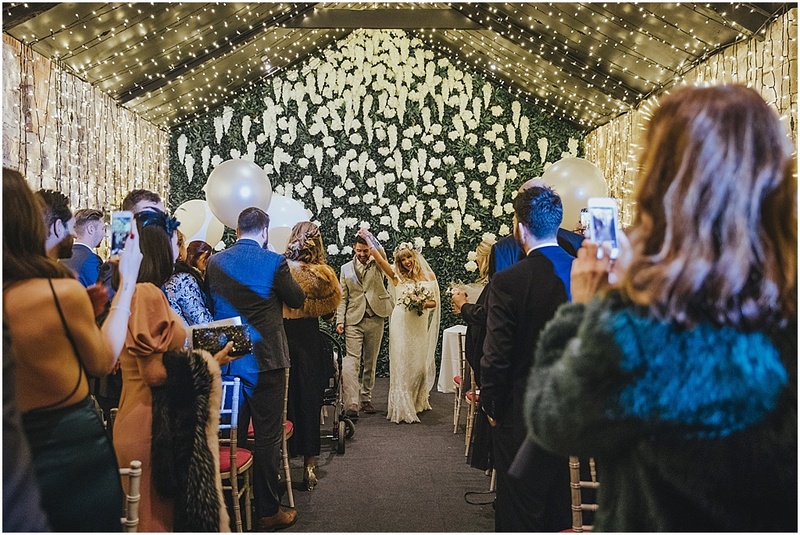 Once married, the speeches began and Charlton Hall done an amazing job of creating a wonderful room adorned in twinkly lights and candles, setting a lovely ambience on a very cold winters day. 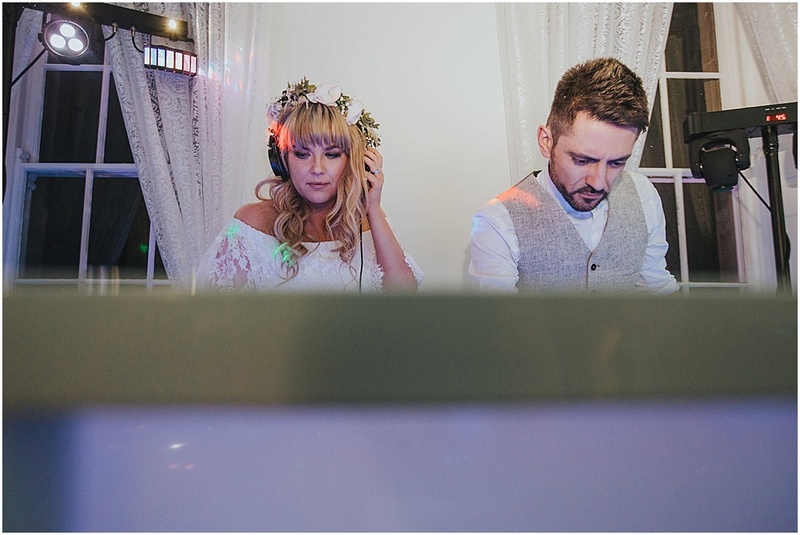 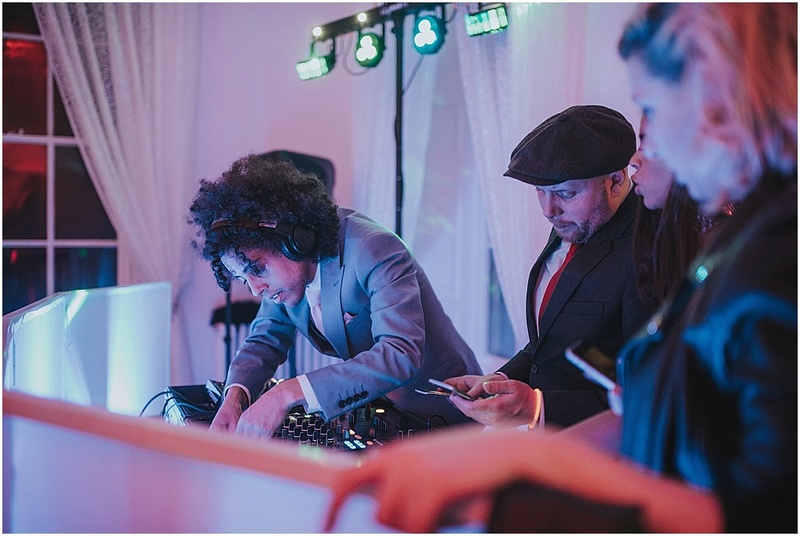 Later in the evening the celebrations really kicked off in New Years Eve style with Jez and Lucy working the decks to get the party started. 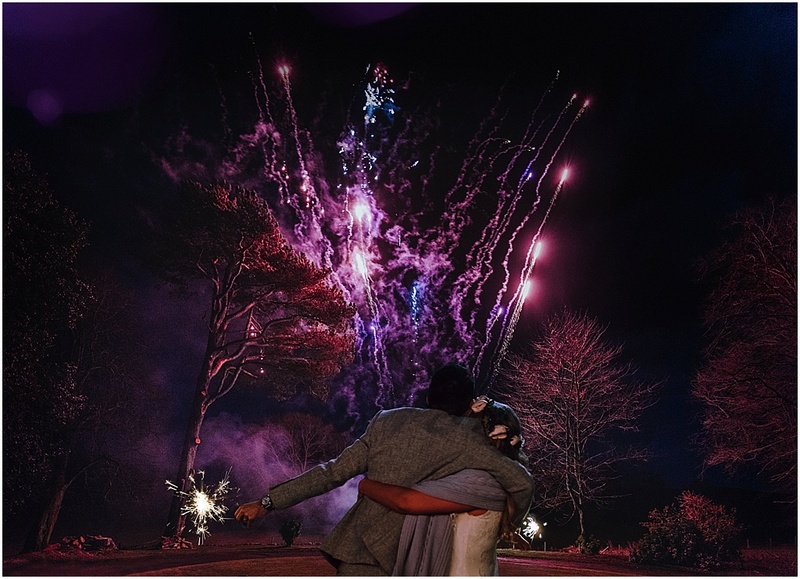 As the clock hit midnight and the countdown began the confetti cannons erupted and the fireworks filled the sky to welcome in 2018!! 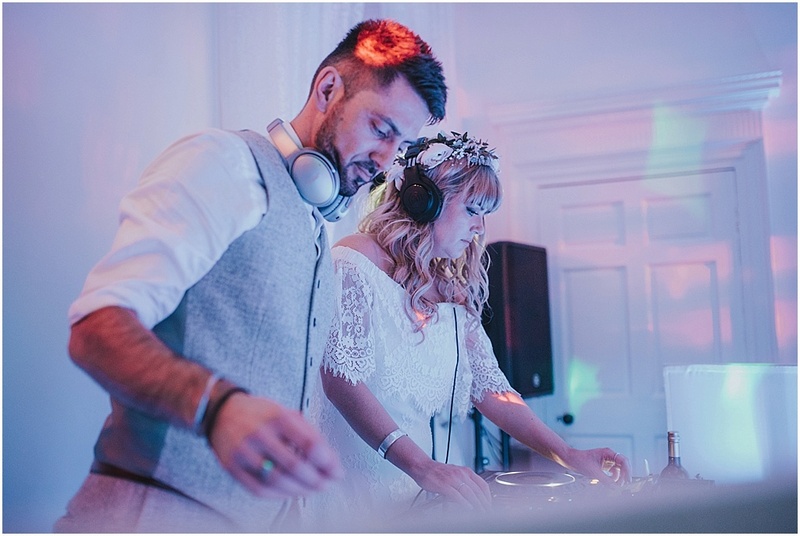 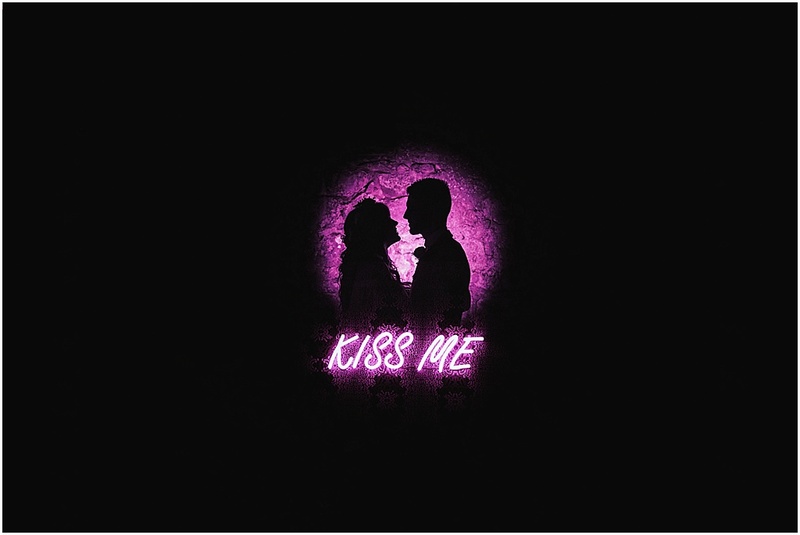 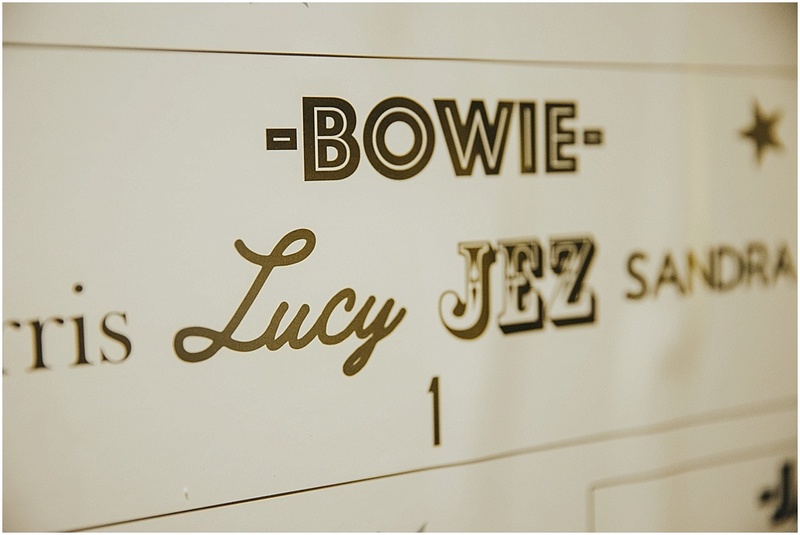 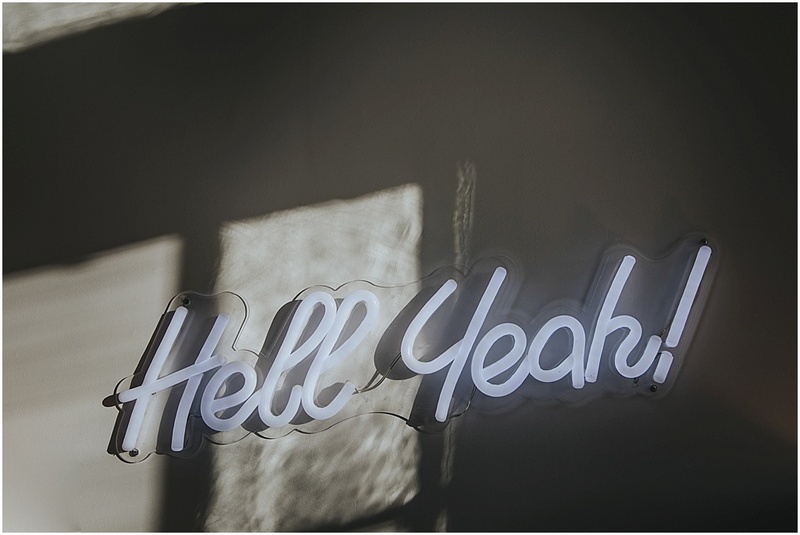 It was a real pleasure to work with Lucy and Jez from the minute I met them, they’re an amazing couple who just ooze coolness. 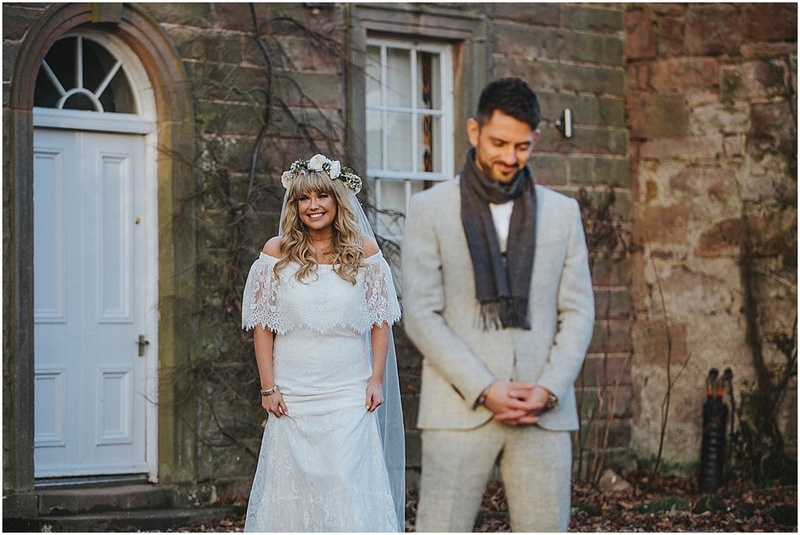 Best of luck to you both for the future and thank you so much for letting me be part of your day!